Anjunadeep, the Deep House / Deep Tech label of trance trio Above & Beyond, has been releasing some of the most forward looking music since it’s first release all the way back in 2005. Ever since then, the label’s Deep compilations always sit happily in the Itunes #1 spot for many weeks. In 2014 in particular, both emerging artists and established Anjunadeep family members have and continue to release incredible music. Martin Roth, known for his tracks ‘Beautiful Life,’ ‘Suite 909,’ and numerous remixes, is due to release his next EP for the label ‘Mel’ / ‘Maya’ this coming Monday. It’s been quite a while since we’ve heard his originals on Anjunadeep, so we were thrilled to get a chance to ask him a few questions! We want to open by stressing just how obsessed we still are with your 2012 track ‘Beautiful Life.’ Any advice on how emerging producers can make such powerful music? Thank you very much … still after 2 years it is great to hear that. An advice which is coming right to my head especially in this case is not thinking too much, simply do … overthinking is the worst enemy, also in writing music and even if I know this for many years, I am still struggling to finish something before I think too much. In the case of “Beautiful Life“ I wrote the track in 2 days and if this is not enough, remember it was 4am in the morning when I was finished and I wasn’t tired so I played with some things I had worked on the week before, and 4-5 hours later, „Make love to me Baby“ (the B-Side) was finished. So I simply was riding on a wave of good vibes and was very into everything, not questioning much and simply finishing something I started. The process of writing music is always the same – especially in electronic music – playing in the studio for a few hours until the moment of a “flow“ is emerging – then everything you do is the right thing and yo enjoy writing actually. But the minutes and hours before are the hardest – I could have stopped at 9pm the night before and could have gone to bed but I went through this and in the night I achieved something. So I could tell you many things about technique and stuff which is mainly simply coming from experience but for me the even more important thing nowadays is motivation, less overthinking and developing a good vibe. You’ve been involved with Anjunadeep for a long time now. In your mind, how has the direction and sound of the label changed over the years? Actually I think Anjunadeep was and is staying true to themselves and their roots. They developed a special kind of sound which in 2014 really sounds like “Anjunadeep” and nothing else. I was trying over the years to pull them a bit into this or that direction with some productions I did and styles I liked but they kept being still a good fusion of the more classic progressive, the posh NuDisco, the Deep House as the name is suggesting and a good portion of some British UK-Garage. So let’s talk a little about your about soon to be released EP for Deep, ‘Maya’ / ‘Mel.’ How did these two tracks come together and what’s the origin of the names? After the Plexish-NuDisco of 2012 I became last and this year a fan of the more darker sounds more rooted in my history when I went clubbing of more technoish deeper tech sounds with a melodic edge. The last releases of David August, Lake People and the likes were an inspiration and when Martin Roth is feeling good in this area, track like the above mentioned are coming out after a few weeks of working in the studio. “Mel” is my favorite of the pack due to the melodic dark feel and less dominant drumming whereas “Maya” is more focused on more pumpier percussive elements with additional atmospheric vibes. The Origin of the names is quite easy – Maya is our cute lovely 2 year old Chocolate Labrador and Mel is my wife. So two predominant elements of the last two years as well. Speaking of the release, we were thrilled to see remixes from two relatively new producers, Peter Pardeike and Whomi. How did you get these two to remix your tracks? What are they like? Whomi is a super talented still young italian producer which productions I was playing lately a lot. I think we will hear from him a lot in the future – he has a distinctive deep sound and he did an amazing job I think. Same like Pete Pardeike did with his take on “Maya.” I was a huge fan of his Innervisions EP with Marcus Worgull “Lenoix” and he did exactly what we expected – putting his sophisticated IV vibe onto the track. You need to listen to his remix maybe several times first in my opinion but then you are becoming crazy for it. We really loved your Deep takeover a few weeks ago. Can you walk us through how you put that mix together? It is actually simply a mirror of what I am playing currently in my sets. I prefer longer sets so I am starting a little slower ending more techno later usually and this is simply that put into 60 minutes. So what’s in store for the rest of 2014? Any plans for a US tour or other releases in the pipeline? Good that you ask – I will be in the US & Canada in the last week of October for two long weekends. The finally confirmed gigs I will post asap on my website and the social networks. The current EP is not the only thing which is still coming this year so there are two Remixes one for Sudbeat and another one coming out on just vinyl on a new label I cannot say much so far now but the mix is insane. On the original side I’d say watch out for it … there’s ANOTHER Anjunadeep release scheduled and another one on a well know House Label as well. Before we go, we always love to ask – are there any fresh promos you’ve heard recently that you are really excited about? A track which I love now for month which will be out very soon is the new Daniel Bortz & Sascha Sibler – “Tomorrow we’ll start a new life again” as well as AMEs interpretation on “L’esperanza” of Sven Väth on Cocoon Rec. 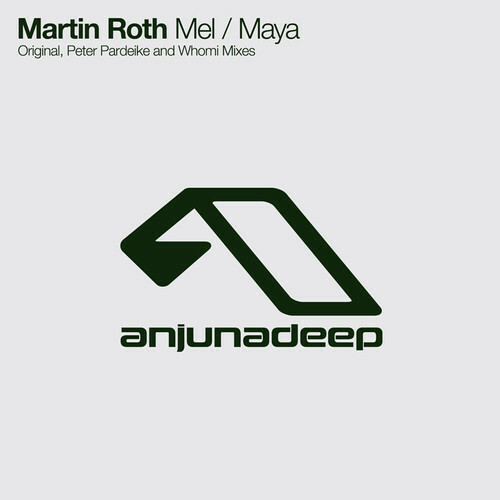 Martin Roth’s newest EP ‘Mel’ / ‘Maya’ is out September 15 on Anjunadeep.